Harassment in the workplace can be linked to discrimination, but discrimination itself can involve much more than being singled out and insulted. Workplace discrimination may be taking place if you’re fired, denied promotion, excluded, denied benefits, and more based on your race, gender, sexual orientation, age, and other factors. Do not sit back and let this happen; there are laws in place to protect you. Here are five ways to fight back. 1. Make record of everything. One of the benefits of working in a digital age is that we are able to keep a much more solid, inarguable record of communications. Examine any text messages, emails, memos, and more you have, and keep these as part of your discrimination record. Try to arrange them in chronological order, making sure dates and involved parties are identified. Do not share this record, or even tell others at work that it exists – yet. Like other laws, workplace discrimination laws will vary by state. Check up on what laws are active in yours. 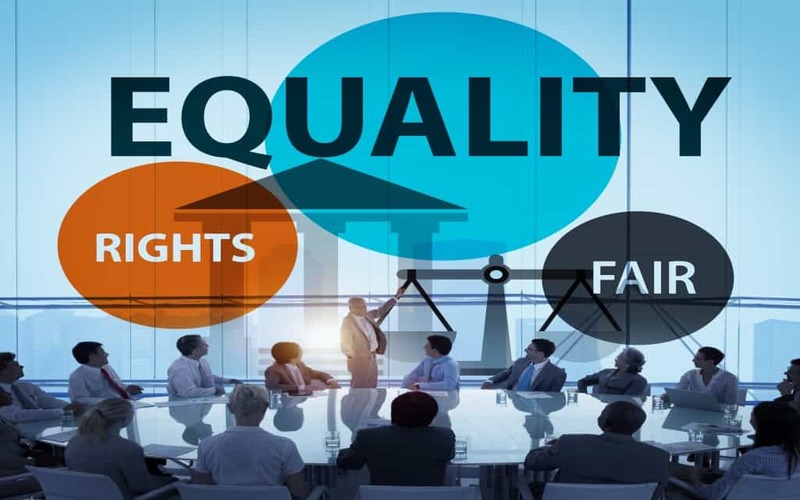 In the meantime, know that various federal laws still prohibit workplace discrimination. Learn more about what discriminatory practices include; you may be experiencing more discrimination than you think. 3. Go straight to the top. Before we move onto other types of action, it’s good to have a conversation with a superior above the person or people discriminating against you. Be calm and avoid muddling the point with your opinions. Tell them you are being discriminated against, give examples if requested, and ask what they are willing to do about it. If you do not feel safe speaking to a higher up about it, consult Human Resources. Unfortunately, bringing up discrimination to company bosses might not net you the justice you deserve. If you’re unsatisfied by what your employer has offered as a solution, file a report. You might choose to do so with your employer’s HR department, or with a federal agency. Either way, this is where your record comes in. If you are submitting the report to your employer’s HR, find out whether or not they plan to investigate. If not, definitely file with the government. 5. Speak to an attorney. From here, it may be necessary to contact an attorney. When discrimination takes place, you are entitled to compensation associated with the loss of promotions, benefits, wages, and more. Attorneys with some experience in workplace discrimination, such as https://www.duffylawct.com/title-ix/ are preferred. This is also a good option when you are uncertain of the laws in your state, or need help identifying the type and extent of the discrimination you’re facing. Discrimination at work is a matter everyone should take very seriously. It can have long-ranging impacts on your ability to earn and quality of life. Never accept that there’s simply nothing an employer can do to address workplace discrimination. Speak to the Equal Employment Opportunity Commission if your employer stonewalls your efforts to rectify discrimination. And along the way, remember that company retaliation for your discrimination accusation is also against the law.